I’m looking forward to paying a visit to the (still pretty) brand new library in Manhattan Beach. I love visiting schools. 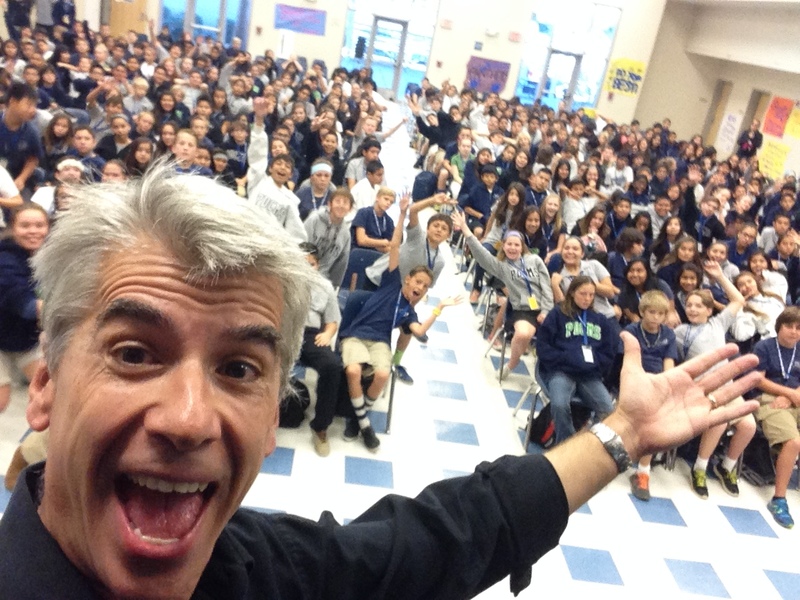 This is the 7th grade at Palm Desert Charter school in Palm Desert, CA. (I also spoke to the 6th and 8th grades separately) I had visited PDCMS a few years back with my first Morpheus Road book so this was my second time around. It’s really wonderful to travel around the country to see that: 1) Kids are kids, no matter where they live. They’re all awesome. 2) There are a lot of smart, engaged readers out there which bodes really well for all of our futures. Among many other things, I am thankful for you readers who allow me to share my stories with you. Words cannot express how grateful I am. The Pendragon Adventure – Finally complete! When the hardback of The Soldiers of Halla was first published in 2009, it was with the classic cover design. At the same time, the U.S. publisher created a new cover design for all of the paperbacks. That meant, in 2010 when the paperback for TSoH was published, it was with the new design only. Since then I’ve gotten lots of angry mail from readers saying that they had the first nine paperbacks of the Pendragon story in the classic design, but could not complete the collection. After hearing that, a lot, I asked the publisher if they would do a limited run of the paperback with the classic design…and they agreed! So here we are, only 4 years late, the Pendragon collection is now officially complete. Today, October 7th, the paperback of The Soldiers of Halla is being published..the way it was meant to be. On Monday I’ll be hitting the road to tour with Book #2 of The SYLO Chronicles…STORM. Check the APPEARANCES section of this website. Hopefully I’ll be coming to a store near you! Or better yet, visiting your school. I can’t wait to hear what you all think of the next chapter in the SYLO saga. My friends at Jeanbooknerd are running a blog tour for STORM and in addition to giving away some signed arcs, the top prize…drumroll please…is a Skype visit with me. Here’s the link. 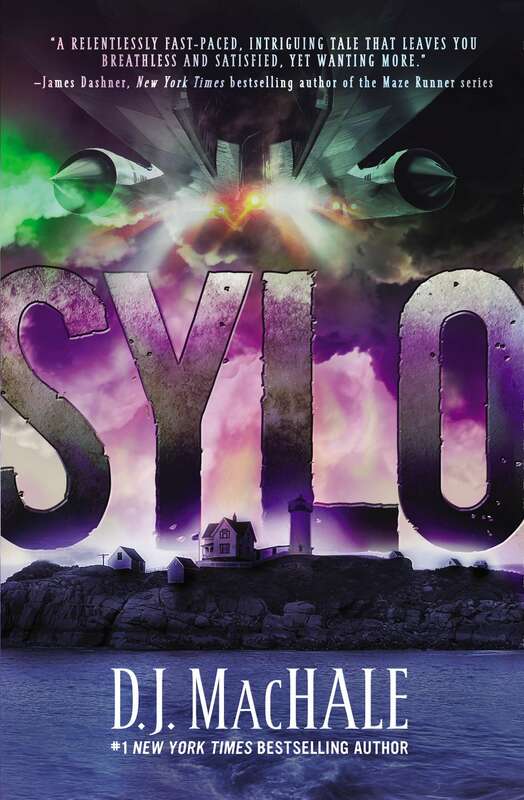 Ahead of the publication of STORM, the paperback for SYLO is now available!